The 14th Annual Women of African Descent Film Festival brought to you by The Brooklyn Chapter of The Links, now opens its call for entries. If you would like to see an example of the lineup from WADFF 2014, click here. Please contact wadffbklyn@gmail.com with questions regarding the festival. MISSION & OBJECTIVE To showcase films which are centered around the theme of Linkages: Women, Their Families, Neighborhoods, and the Global Community, and to support the artistic development of Women filmmakers of African Descent by providing a supportive exhibition platform, offering stipends to participants, and seeking industry opportunities that will help to expose the filmmakers’ works and further their careers. ABOUT THE FESTIVAL The Women of African Descent Film Festival (WADFF) is celebrating its 14th Anniversary in 2015. The media constantly bombards us with negative images of people of African descent. Our positive accomplishments, uplifting experiences, and gifts to humanity get little attention. The Brooklyn Chapter believes it is vitally important that our legacy be maintained, nurtured and preserved and it is our responsibility to shape the public’s perception of who we are as a people. Through the medium of film, filmmakers of African descent document and relay the stories of our past, present, and future. They have become the new historians –“preservers of our legacy.” The Brooklyn Chapter realizes that many societal misconceptions start with how we are portrayed in the media. To counteract the adverse portrayal of African Americans in the movies and media, the Brooklyn Chapter in 2002 initiated Linkages: Women of African Descent Film Festival. 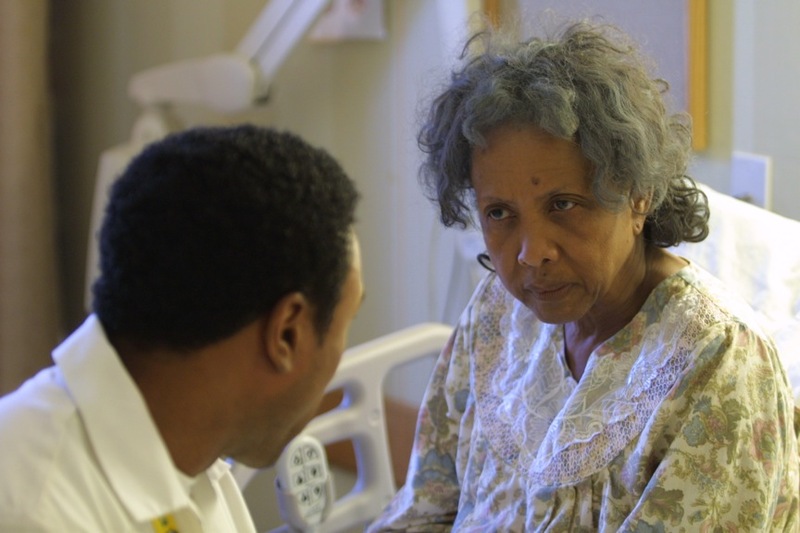 By choosing and screening films that depict the positive linkages women of African descent have to their families, neighborhoods and communities, the film festival is able to effectively influence peoples’ perceptions through the medium of film. GENERAL RULES & SUBMISSION GUIDELINES All films must be produced, written or directed by a female filmmaker of African descent, and must have been completed on or after June 1, 2010. Original submission deadline is Friday, March 13th. Extended deadline is Friday, March 20th. Jurors Choice Awards and stipends will be presented to the participating filmmakers. Filmmakers are encouraged to submit both a DVD screener as well as a digital screener*. Please note: there is no submission fee, and films will not be returned to you unless you include a self-addressed padded envelope. With your playable DVD submission, please include a synopsis, crew list, press kit and any stills you would like to appear in the program and/or advertisements. *If you have an online version of your film on a site such as Vimeo or YouTube, please submit that link to wadffbklyn@gmail.com. 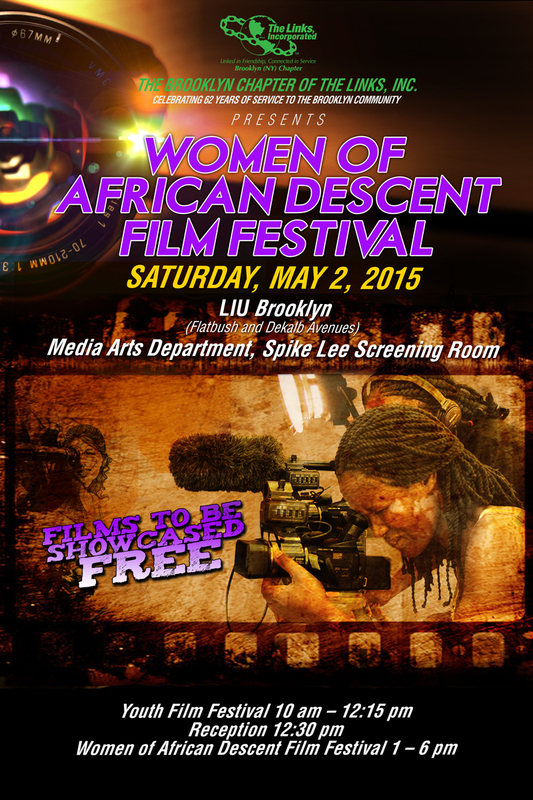 THE EVENT The festival will take place Saturday, May 2, 2015 at LIU Brooklyn (corner of Flatbush and Dekalb Avenues), Media Arts Department Spike Lee Screening Room 10am-6pm. THE LINKS Formed in 1952, The Brooklyn Chapter of The Links is dedicated to the support of educational, civic and cultural activities in Brooklyn. It is a chapter of The Links, Inc. an international, not-for-profit corporation, whose membership consists of 12,000 professional women of color in 276 chapters located in 41 states, the District of Columbia, and the Commonwealth of the Bahamas. The Brooklyn Chapter works under the guidelines of its national organization in providing services to its Brooklyn Community in five mission areas: The Arts, Services to Youth, National Trends and Services, International Trends, and Health and Wellness. A focus of the Chapter’s arts programming is to empower women and youth by lending support and encouragement to emerging artists – with a particular focus on filmmakers for the past 13 years. The foundation for all of the chapter’s programs and services is rooted in the African American tradition of giving and volunteerism. Members share a deep sense of communal responsibility, and for the past 62 years, have been committed to actively initiating and supporting educational, cultural, and civic programs, that positively impact the lives of people of African descent residing in Brooklyn. You can ‘Like’ and follow the festival Facebook page here. This entry was posted in Blog Posts and tagged acting, Actors, actress, African-American, African-American Cinema, art, Artists, arts, Be Inspired, black actress, Black Chick Media, Black Hollywood, Black Women, Brooklyn, call for entries, Casting Director, characters, Cinema, Directors, Documentary, Education, entertainment, events, fabulous events, film, Film Festivals, Future, History, LINKS, movies, New York City, NYC, WADFF, Women in film, Women of African Descent by blackchickmedia. Bookmark the permalink.